US equity indexes closed moderately higher, sp +10pts @ 2151. The two leaders - Trans/R2K, settled higher by 0.4% and 0.7% respectively. 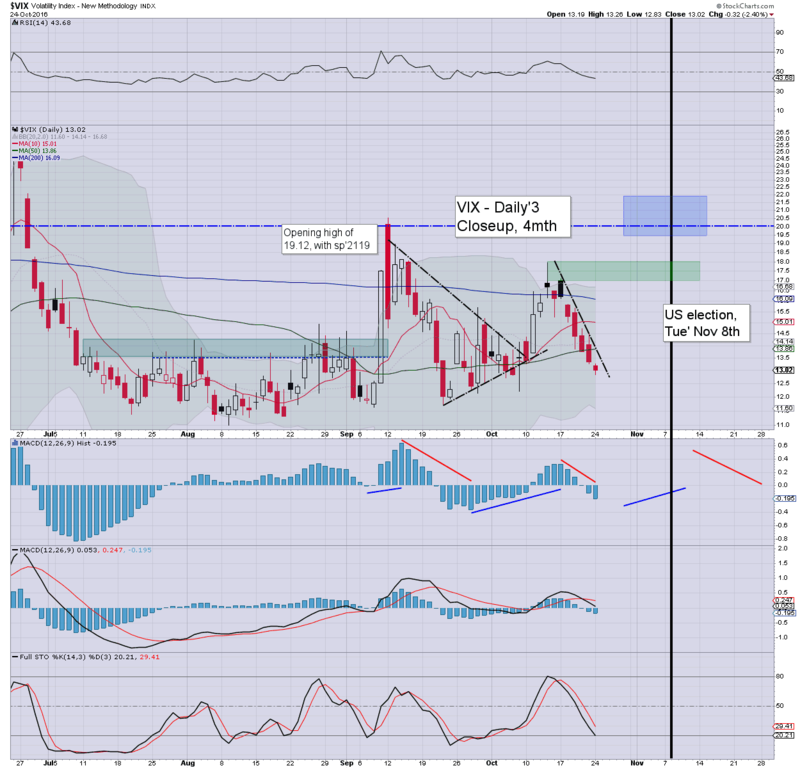 VIX settled -2.4% @ 13.02. Near term outlook threatens a challenge of the sp'2161/63 gap zone, but regardless, the broader outlook into early November remains bearish to at least the 2080/70 zone. So, some moderate gains to begin the week. Clearly, with the break above sp'2150, further upside to the gap zone of 2161/63 is back on the menu. 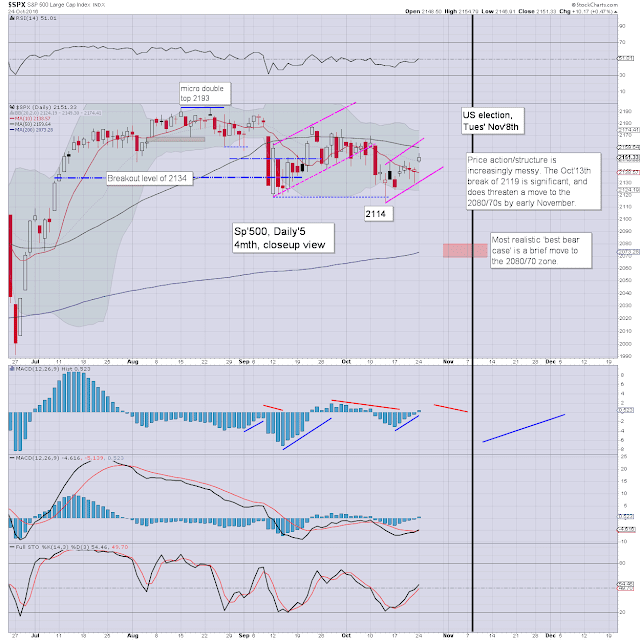 Its highly notable that the 50dma is at 2159, and that will offer some strong resistance across this week. VIX continues to melt lower, seeing a new cycle low of 12.83 today. If sp'2160s, it would seem we'll break (briefly) that low.. before the next multi-day up cycle in volatility. On balance, despite today's gains, nothing has changed. 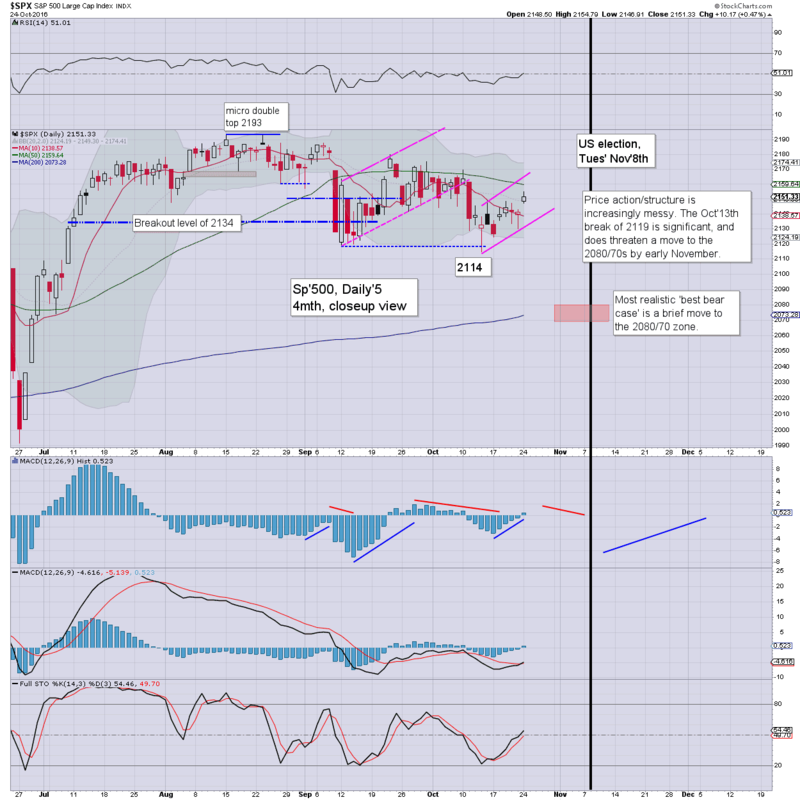 A move (if brief) under sp'2100 - with VIX near 20, is due. 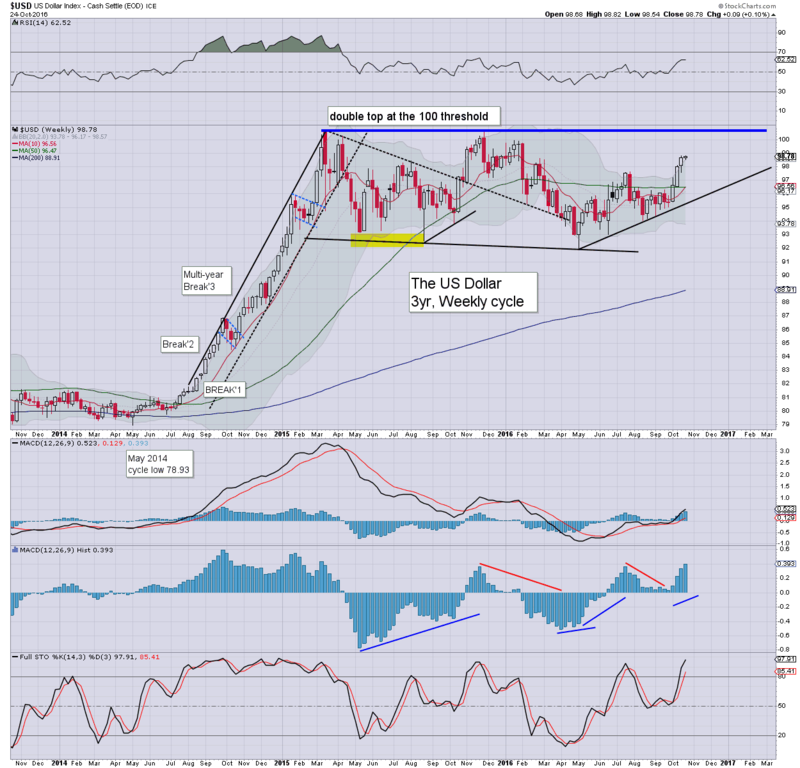 The giant psy' level of DXY 100 is getting kinda close. A breakout seems more likely than a triple top. 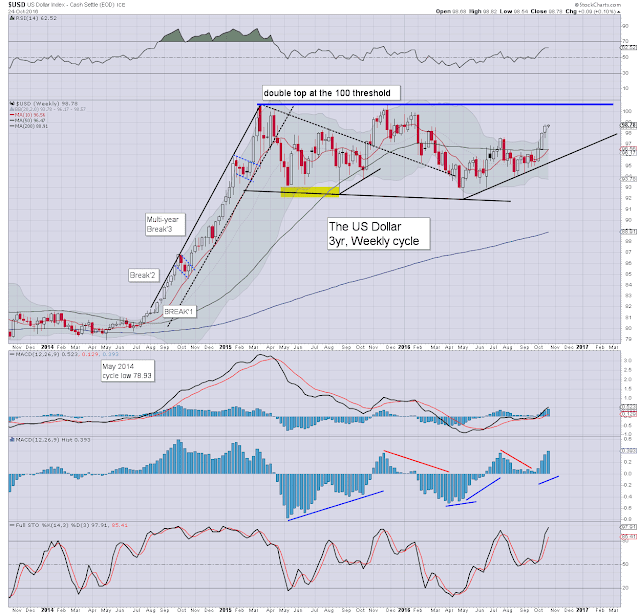 There are of course huge Implications for US/world capital markets, on any sustained move into the 100s. Its certainly something to keep in mind. Here is something to ponder, which of Clinton or Trump would be more likely to inspire a break >100 ?